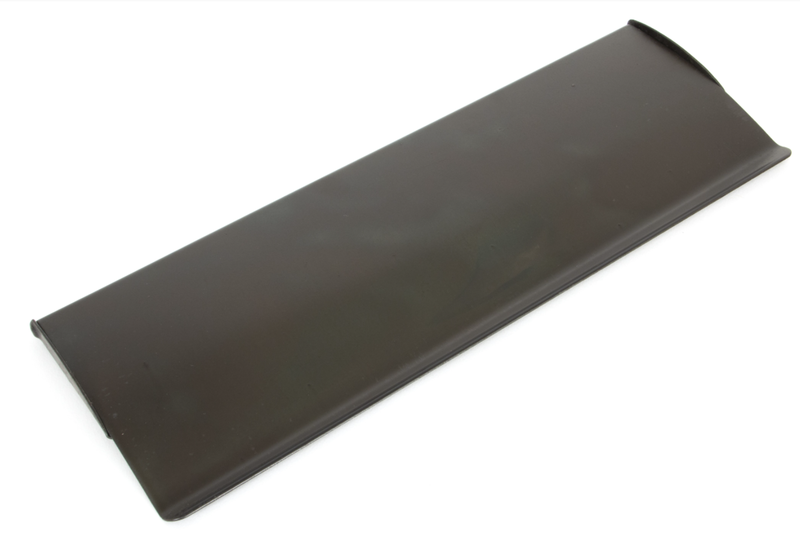 At Ironmongery Experts, we have a wide selection of From the Anvil letter tidies, which are used to cover letterplates in order to reduce draughts and to enhance the inside appearance of your door, making it look neater and tidier. This selection of letter tidies, also known as letter covers, comes in a variety of finishes, including brass, chrome, pewter, nickel, bronze and black to match any letter plate you might have. Additionally, we supply a range of door escutcheons, which are used to cover the key hole on a door, cutting down on draughts and improving the overall appearance of any door. Entrance doors can be further equipped with door knockers and door numerals. These ironmongery products are not only very functional but also work as decorative pieces. For front doors which don’t have a door handle or cylinder pull, we would recommend our selection of centre door knobs. For additional security and privacy on front doors, our selection of door peepholes and door chains is ideal. We also supply a wide range of thumbturn locks which are perfect as a secondary locking method for entrance doors and as a primary locking mechanism for bedroom doors and bathroom doors. Amongst our collection of From the Anvil door accessories, we also stock door stops, which will prevent any sort of damage to the wall by swinging the door too quickly or widely. Cabin door hooks can also be used to prevent damage to both the door and wall, by holding the door open at all times. If you want to prevent marks on the bottom of the door itself, we would recommend installing a door kicking plate.